Chase Slate Credit Card is a card that comes highly recommended by experts. Chase Slate has been named the “best credit card for balance transfers” for two years in a row by Money Magazine. That probably has a lot to do with Chase Slate’s amazing 0% APR for any balance transfer that you make to it for up to 15 months. That means that if you are paying high interest fees somewhere else, you can transfer the balance to Chase Slate, and the money that would go to paying interest, can now go to lowering your debt. For 15 months. No wonder Money Magazine has given the Chase Slate Credit Card. such high praise. Another generous feature of the Chase Slate Credit Card is that it does not increase your APR if you accidentally make a late payment. You might have to pay a late fee, but the Chase Slate Credit Card, unlike many other credit cards, will not punish you further by charging you more interest when you accidentally miss a payment deadline. Do you want to see your credit score increase while you are paying down your debt instead of paying high interest? The Chase Slate Credit Card allows you access to a free monthly FICO score and Credit Dashboard. This makes it easy to keep track of your credit score; you can check it every month while you are making your payment. The Chase website is extremely user-friendly and easy to navigate. You might expect that a credit card that offers 0% APR for balance transfers for 15 months, no penalty APR, and free access to your FICO score to come with a hefty annual fee, not the Chase Slate Credit Card. Its annual fee is $0. What a bargain. 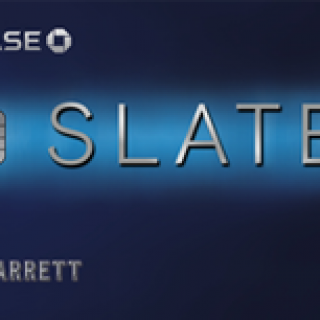 The Chase Slate Credit Card requires potential customers to have good to excellent credit. So those with a credit score below 620, or a short credit history might have a more difficult time being approved. Even though this card is not perfect for somebody who is just starting to build their credit history, or is trying to increase their credit score, it is definitely one that those people should aspire to. 0% Introductory APR on all purchases and balance transfers upto 15 Months. Chase Slate named “Best Credit Card for Balance Transfers” two years in a row by Money Magazine. $0 balance transfer fee for transfers made during the first 60 days of account opening. Get Free Monthly FICO® Score and Credit Dashboard which helps you track your Credit Health.